For the last few months, I’ve been thinking about a backpack option for the bags. The big question for me was if the backpack should be a whole different bag or if it can be a custom add-on option. Also, if it’s a custom option, should the straps be detachable or not. 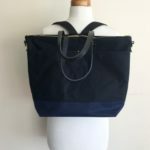 I’ve been using my Medium Zipper Tote daily for almost the last 3 years and it really fits my needs. 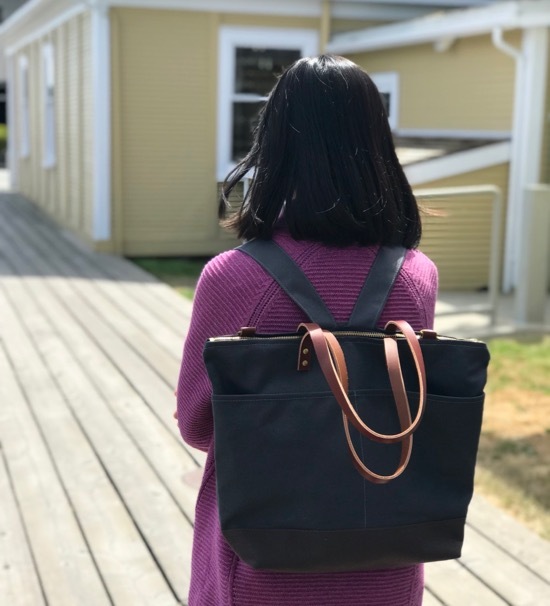 I often wished I was able to convert my tote into a backpack though. I haven’t used a backpack since I was in university, but find that I’m in need of one when I’m out with my 2 little men. It was time for me to make myself a new bag anyway, so I tried to add these backpack straps on it to test it out. I really wanted to be able to offer a custom backpack add-on option to the existing bags in the shop, rather than design a whole new backpack. 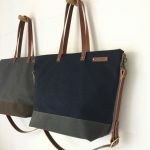 I liked the idea of the bags being very versatile, where one would be able to choose what to add on, depending on their needs. 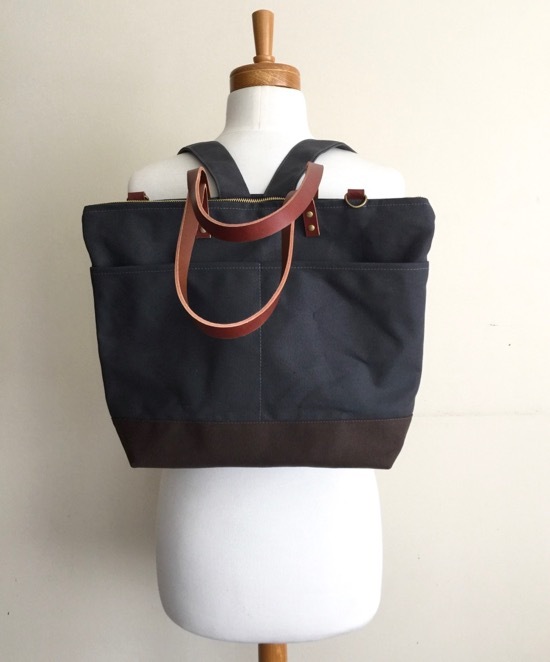 A customer could have a shoulder tote turn into a backpack to crossbody bag, depending on which bag they like. The big design decision I had to make was if the backpack straps should be attached or detachable. There were many ideas I went back and forth on. Each with its pros and cons. Finally though, I felt that for ergonomic and stability, the straps should be attached. Also, I was thinking that I wouldn’t want to fuss with detachable straps when I wanted to convert it into a backpack quickly. With attached backpack straps, one major consideration was if the straps could be out of the way when I’m not using it. I made the backpack straps fully adjustable with a slide buckle. In this way, the straps can be adjusted to the shortest setting when not in use. I found that it didn’t get in my way at all when I’m using the bag as a shoulder tote. The other major consideration was if the straps would make the bag weigh a lot more. It didn’t. 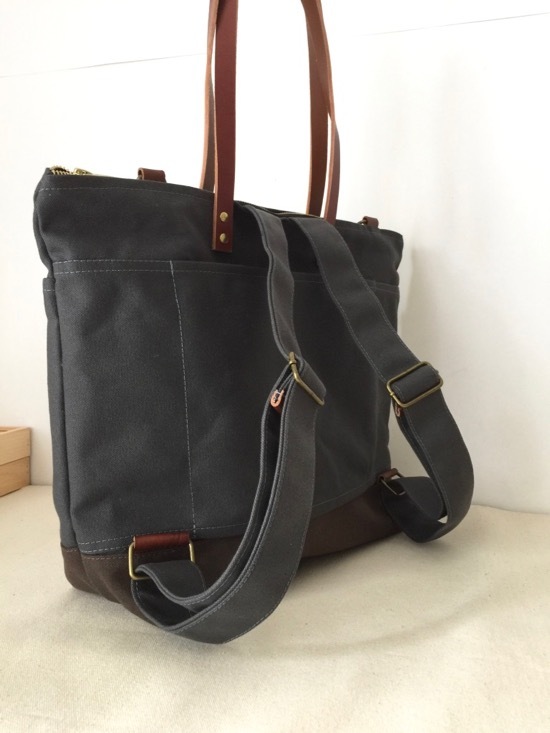 The bag is still lightweight and easy to carry. 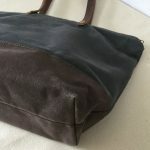 That is what I really like about working with this lightly waxed canvas. It’s so durable, but lightweight. 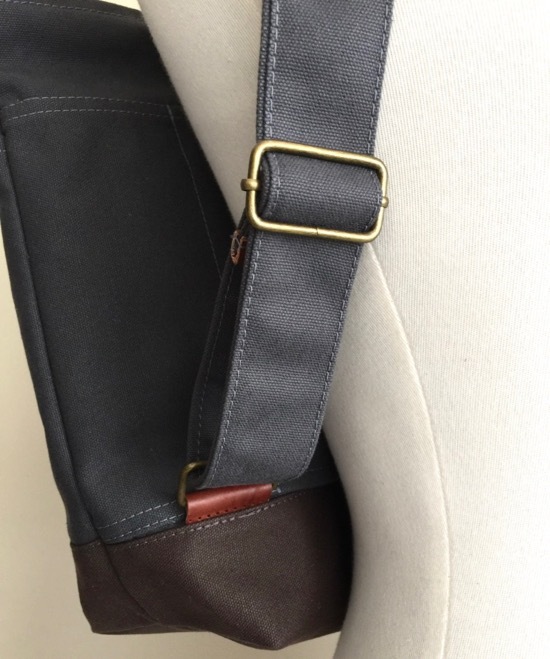 Here’s a close up shout of the backpack strap. 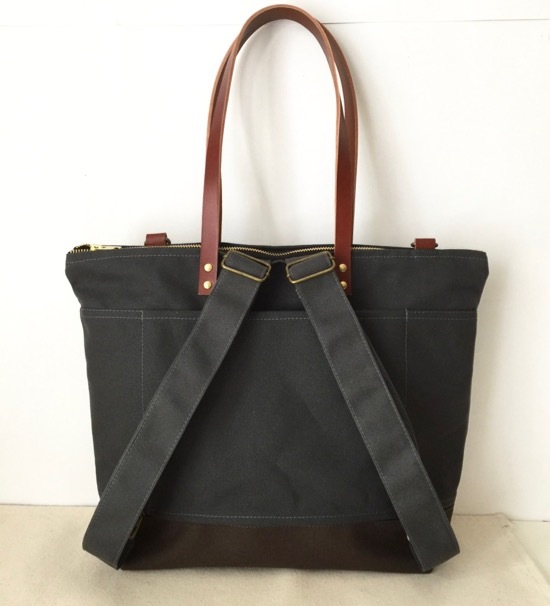 Fully adjustable and can be added to almost all the bags in the shop. I’m happy on the way this turned out and happy to offer it in the shop as one of the custom options available.